Our Software Testing and QA teams work as an independent division within BairesDev, with over 60 experienced QA Engineers on board, that have successfully completed more than 120 QA projects. We deliver stand-alone and integrated testing services to various customers from software product startups to larger corporations, providing supreme quality assurance through a deep understanding of your business goals and applications. Quality Assurance allows for a better control of the quality of the application, makes the evaluation of the product’s compliance with the original requirements fast and easy and provides valuable insights into end user impressions of the product. Documented analysis of your project along with fact-and-experience oriented recommendations. From the requirement analysis through the development, implementation, and maintenance of solutions. Various types of clearly structured documents for different target audiences. 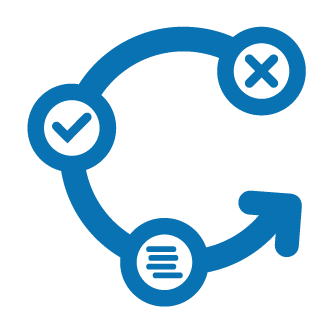 Custom test development plus out of the box test automation solution selection to create the optimum combination based on goals, technologies, and infrastructure. Web, desktop, mobile applications or server-side systems – we create a comprehensive testing mix for each application to ensure consistent high-quality. PCI DSS, Section 508, UK and European accessibility standard, etc.